MTD is part of the government’s finance plan which called for the transforming of the UK tax system by 2020. The plan aims to digitise the tax system for businesses, the self-employed (including sole traders) and landlords. It covers corporation tax and VAT and has the potential to remove the need for self-assessments. Originally announced in December 2015, with a roll-out scheduled for 2018, this was changed following a public consultation and will now take effect from April next year. When does MTD take Effect? MTD is being rolled out in stages, the first of which is a small-scale pilot which began this summer. Most companies involved in the pilot were invited to take part, though businesses could also ask to participate. The next stage is that all VAT-registered businesses will be required to submit their tax records digitally from April 2019. This stage is called MTD for VAT. At this point, HMRC’s Government Gateway will no longer be available. MTD for VAT will be followed by a roll-out that covers corporation and income tax, though dates for these have not yet been set. From April 2019, MTD for VAT makes it mandatory for all companies that are VAT registered and have a taxable turnover higher than the threshold for VAT registration to keep their financial records in digital form and file their tax returns electronically using software that is MTD enabled. Businesses do not have to keep records for other taxes digitally until April 2020 at the earliest. The UK government and HMRC have been working closely with financial software companies to make sure that their systems are compatible with MTD for VAT and there is a list of those who have met the required standards on the gov.uk website. With MTD, the UK government wants to create a digitally advanced tax system that is a world leader and removes the need for paper-based accounting. They believe it will make the tax system easier for companies to understand and reduce the likelihood of mistakes being made. Their research showed that almost a quarter (24%) of businesses surveyed were not aware of the changes at all and over half (66%) were aware of MTD in name only. Of those that had heard of it, only 25% had plans in place to meet the April 2019 deadline. If you are one of the businesses who has done little, if anything, to prepare, there is still time. The first and most important thing you can do is make sure that the software you use for managing your taxes is compatible with HMRC requirements. a recent UK2000 Group survey discovered that 65% of small businesses still aren’t using tax or accounting software to run their finances. If you fall into this camp, then it’s important that you source a financial management system which is already HMRC compliant, such as Xero. 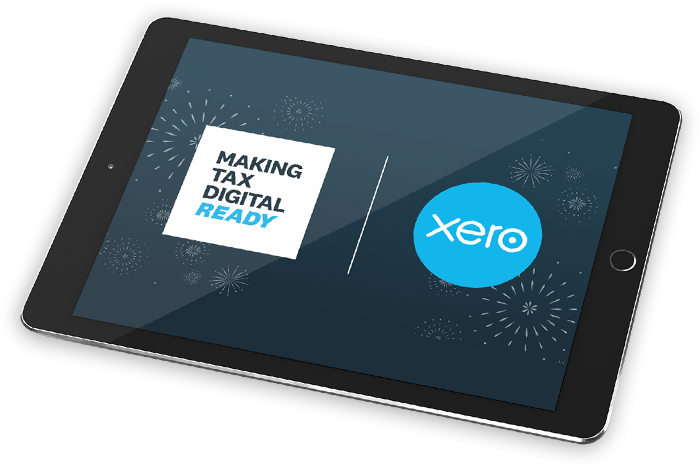 Finding the right software will make the transition to digitised records easier for you and your company, ensuring you can file your taxes correctly and on time. Look for systems that are easy to use and make your life easier by creating tax forecasts, for example, or letting you know when payments are due so you can avoid late payment penalties. If you use an accountant to file your tax returns, you need to speak to them about their plans for making sure they are MTD for VAT ready. Not all accountants use financial software but rely on spreadsheets and ledgers to manage their client’s finances. Make sure they are using software to manage your taxes and that it is compatible. Even if your company doesn’t have to file digital returns from April 2019, remember that at some point in the future, possibly from 2020, you will need to start submitting tax return digitally. Now might be a good time to start planning for the future while taking advantage now of the many benefits financial software, such as cash flow forecasting, can offer.